Fat Cat, River Cat: A story of an unlikely hero. I blinked, then looked again. Classic double-take. On this muggy and slightly overcast day on the Buffalo River, the last thing I expected to see was a fat cat on harness and leash, happily playing in the water. But there he was. Intrigued, I sent the dogs on ahead with my husband and set out to learn more about this River Cat. It was a low expectations sort of day, late summer fading into early autumn with drab skies. We were paying a last visit to the river before heading back to Kansas City. But as I talked with Shelley and Roy about their cat, the day brightened with the joy of the unexpected, the affirmation of a life well-lived, and well loved. Fat Cat is an unlikely hero, an orange tabby of undistinguished appearance, saving for his fat cheeks, from which he takes his name. As a kitten, he came into Shelley’s life a throwaway. He quickly established himself as a member of the family. He has been with Shelley and Roy for 5 years. “He raised three dogs from puppies,” Shelley says,”And all of them are pits.” According to Shelley, he has trained the dogs to groom themselves like a cat. “And he wags his tail like a dog,” she says. Today, he is not wagging his tail like a dog, although this is something I would love to see. He is out on his leash, exploring the river. Like us, the family is taking advantage of the warm weather to spend time outdoors. “You should have seen him earlier,” says Shelley. He was out there where those little rapids are.” She points to the low-running river, where ripples play, about six inches deep. She picks up Fat Cat, who is staring at me dispassionately, and carried him over to the water. He heads out a bit unenthusiastically. I can understand his dilemma. As much as he enjoys the water, it’s a hard thing for any cat to perform on demand, especially for a stranger. I catch a few seconds of video. When my dog comes running over, Fat Cat stands his ground without drama. He’s a mountain of calm, this cat. “He’s brave,” Shelley says. Fat Cat once caught and killed a rat twice his size. It is clear that no dog of any size has ever intimidated this feline. They look each other over. The border collie is aquiver with interest, but Fat Cat is not looking for company today. As a committed dog person, and sometimes disparager of cats, I am struck and humbled by this simple story of one cat, who makes such a difference in the lives of these two people. Even tough Fat Cat has not warmed to me (he IS a cat, after all, and I don’t expect to feel the love), he has lifted my spirits and given me a glance into the richness and diversity of the human-animal bond. This cat, this simple tabby, has saved someone’s life. He makes every day better for a family and their other pets. And somehow, somehow, he is magic. KC Pet Collective was ahead of the pack last year as we provided breaking information about the possible link between grain free diets and cardiomyopathy in dogs, particularly Golden Retrievers. This post will give you the latest information about this developing topic. We’ll help you understand the issue and make an informed decision about feeding your dog. Dilated cardiomyopathy (DCM) is a condition caused by a weakening of the heart muscle that leads to poor contraction strength. Ultimately, both the left and the right chambers of the heart become dilated, with thin walls. The disease is most often progressive and fatal. Dilated cardiomyopathy is linked to genetics, and some breeds are predisposed. But in some cases, dogs with no genetic predisposition may develop this condition. Although the cause of the disease is not fully understood, diet may be a contributing factor in some dogs. Over the past few years, veterinary scientists at several prominent universities, including Dr. Josh Stern at the University of California, Davis, have observed increasing incidence of DCM in breeds predisposed to the disease, like golden retrievers, and also in dogs with no genetic predisposition. These investigators believe they have uncovered an association with feeding grain-free diets in certain cases. What is the evidence for a link between grain free diets and dilated cardiomyopathy in dogs? To date, there are no published studies that confirm a link between grain-free diets and DCM. However, veterinarians have documented at least 150 cases where they suspect diet was the cause of DCM. Owners and veterinarians have reported many cases to the to the Food and Drug Administration (FDA). As of July, 2018, the FDA had fully evaluated thirty of these cases. Many of these cases have occurred in dogs that are not genetically predisposed to the disease, and the affected dogs were fed grain-free diets. Specifically, these diets contain legumes like peas and lentils, potatoes, including sweet potatoes. Derivates of these ingredients like pea protein, fiber, or starches, are also associated with DCM, according to the FDA. Should dog parents avoid feeding grain free diets? It’s important to remember that the ingredients found in grain-free diets are also present in other types of dog food. It’s still unclear exactly how these types of ingredients may lead to DCM in dogs. These ingredients may lack certain types of nutrients, like the amino acid taurine, that are necessary for proper heart function in dogs. They may affect how dogs process essential nutrients. The FDA is not recommending that dog parents change their pet’s diet based on the available information. The FDA is working with veterinarians and pet food companies that produce these diets to better understand the situation. Always seek advice from a licensed veterinarian before changing your pet’s diet. What are the benefits of feeding grain free diets? Veterinary nutritionists are not convinced that there are real benefits to feeding grain-free diets for most dogs. Grain-free diets are not necessarily more digestible for dogs. And grain-free diets do not necessarily contain fewer carbohydrates than other types of dog food. According to Dr. Angela Witzel of the University of Tennessee, about 1/3 of grain free diets are actually low carb, and 1/3 are actually high carbohydrate diets (Witzel, The veterinarian’s guide to alternative diet trends: Grain feree, raw, ketogenic, and more, abstract FETCH DVM 360 Conference, KC, MO, 2017). Some grain-free diet advocates suggest that these diets are more natural for dogs, because dogs have evolved to be predators. According to this theory, dogs are not able to digest starches very well. In fact, scientists have discovered that dogs have evolved to produce more of the proteins associated with starch and fat digestion than their ancestor, the wolf (Axelsson et al, The genomic signature of dog domestication reveals adaptation to a starch-rich diet, Nature, 2013: 495(7441)). You can learn more about this topic at the FDA website. The FDA has also published a Question and Answer document about dilated cardiomyopathy and grain-free diets. Are you fed up with your pet’s constant begging for food? Chances are you are perpetuating the problem without even knowing. It’s time to get off the random schedule of reinforcement. Why is your pet begging for food? Dogs and cats are programmed to respond to food cues. In the wild, an animal never knows when it will get the next meal. Instinct tells him that it’s literally a matter of life and death to get to your pot roast. And it doesn’t hurt that your pot roast smells just as delicious to him as it does to you. As your faithful subordinate, your pet will most likely wait and watch patiently until you finish that pot roast. This is also an instinctual response. Animals in packs or prides take turns eating, and your pet is certain that you will provide some of the leftovers. But most of us really don’t enjoy being the subject of such intense scrutiny while we eat. If there’s drool involved, we like it even less. So we make firm rules, and we promise ourselves never to feed our pets from the table. The problem is that our pets are cute. They know how to work us with the melting stare, the upraised paw. When they beg, we respond. We make eye contact, or we talk to them. And, worst of all, we give them a handout. Just that easily, a pet learns that begging for food is sometimes rewarded. It doesn’t matter that you do not give in to your dog nine times out of ten, or 99 times out of 100. What she remembers is that you gave in once. It’s a little secret that casinos and lottery managers use with resounding success. Reinforcement is a behavioral term for the process of encouraging a behavior through punishment (negative reinforcement) or reward (positive reinforcement). Reinforcement is a powerful tool for intentionally training a new behavior. Unfortunately, it’s also a powerful way to accidentally teach an undesirable behavior, like begging for food. When you occasionally give in to your pet and reward begging with a scrap of table food or a treat, you engage in a random schedule of reinforcement. As casino owners and lottery managers have learned, random reinforcement can be a very powerful behavioral motivator. It’s what drives people to sit for hours in front of slot machines. And it drives your dog to keep begging, time after time. If your pet begs for food, stop randomly rewarding her. Set a strict no treats at the table rule and stick with it. Enforce this rule with your children and your guests. Remember that scolding your pet for begging rewards your dog with your attention. That is also a form of reinforcement. It’s best to ignore your pet when she begs. Until you train a new behavior to replace begging, your dog will continue to beg. Here are some training tips to help curb begging. Train your dog to go to another room or a kennel when people are eating. Train your dog to go to a specific location in the room and lie down or sit. Use a time-out when begging occurs. Dogs aren’t the only pets that beg for food. Cats are also notorious beggars. If your cat is food obsessed, first make sure that there is not a medical reason. Older cats are prone to metabolic diseases, like diabetes mellitus and hyperthyroidism, that may cause them to feel ravenously hungry. If your cat is healthy, try these tips. The best response to a begging cat is to ignore him. If the problem persists, move your cat out of the room at mealtimes. Feed your cat on a schedule. Never leave food on the table or kitchen counters. Never let your cat on the table or kitchen counters. August 15 is Check the Chip Day. Is your pet microchipped? When was the last time you updated your contact information with the microchip registry? If your information isn’t accurate, your pets’ microchips won’t help you recover your pets. It’s a heart-breaking scenario that unfolds far too often: a shelter recovers a lost pet, but they have no way to locate the owners. Unless they happen to make it to the right shelter at the right time, the family may never see their pet again. Microchips that contain the owner’s contact information can successfully reunite families with lost pets. Dogs with microchips are twice as likely to be returned to their families as those without microchips. Cats with chips are about 20 times more likely to be returned to their families. But pet parents must register the chips with the manufacturer and keep their information up to date. Unfortunately, only about 6 in 10 families register pet microchips. When your veterinarian implants a chip into your pet, you need to register the chip with the manufacturer. Some veterinarians may do this step for you, using your current contact information. If not, you must use the chip number provided to you by the veterinarian to complete all information on the website. Always ask your veterinarian what additional steps you need to take to ensure that your microchip is fully registered and up to date. Shelters, rescue organizations, and veterinarians can search the registries from most microchip companies. The American Animal Hospital Association (AAHA) maintains a database of microchip registries, called the Universal Microchip Lookup Tool. As long as your contact information is correct, anyone with access to a chip reader can find you to return your pet. Check the Chip Day reminds us to keep contact information up to date with microchip manufacturers. Most of us don’t think about our pets’ microchips very often. When we move house, updating that microchip information is probably the last thing on our minds. Log in today and update your contact information. It’s a simple step that could make all the difference if your pet is ever lost. If you aren’t sure your pet is microchipped, or if you have lost the manufacturer’s information, make an appointment with your veterinarian today. 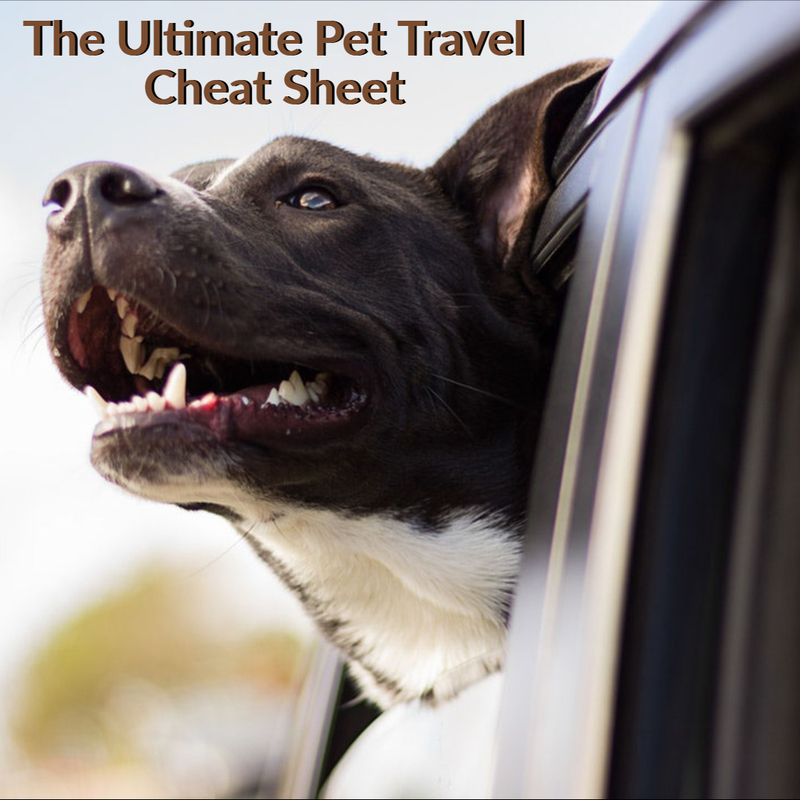 The contents of www.kcpetcollective, including text, images, infographics, and video, are intended for informational and educational purposes only. The contents of this blog are not intended to be a substitute for the advice of your veterinarian. This blog does not recommend or endorse treatments, test, or procedures.